Congratulations to the 2014 ADDY Winners! Click here to download the 2014 ADDY Winners Book. Ad2PHX is the local club for the advertising and marketing industry in Phoenix, Arizona. The Ad2 Phoenix Job Board has been updated! 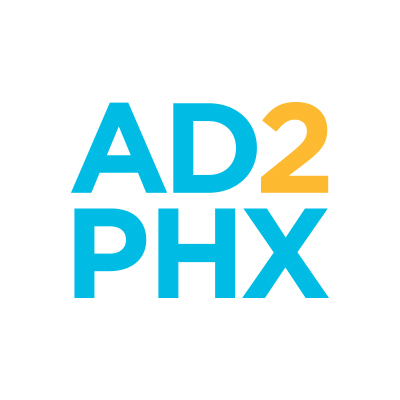 Ad2PHX is the local ad club for those working in the advertising or marketing industries. We focus on education and fun while growing the industry in our great city. © Copyright 2017 Ad2 Phoenix. All Rights Reserved.